The cable is a versatile 1M in length. Transfer data at up to 480Mbps with improved cables and connectors. 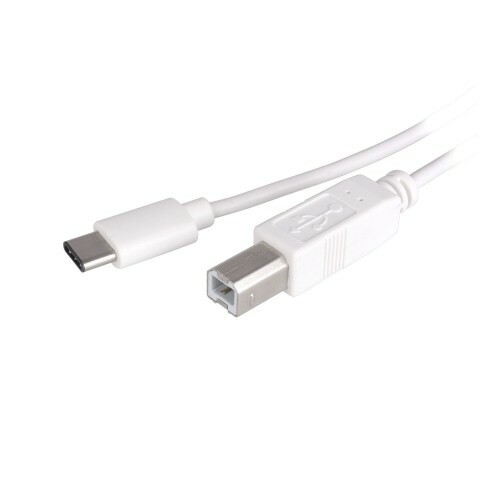 This USB-C cable supports up to 15W (3A @ 5v) of power output and can be used for charging and powering USB-C enabled devices. Connect your USB-C Tablet, notebook or laptop computer to your printer.